​The federal NDP is urging Prime Minister Justin Trudeau to develop a funding plan that would preserve Greyhound Canada's bus routes in northern communities. The federal NDP is urging Prime Minister Justin Trudeau to develop a funding plan that would preserve Greyhound Canada's bus routes in northern communities. In a letter being released today, NDP Leader Jagmeet Singh asks Trudeau to take "immediate action" and stop the cancellation of crucial bus routes in Manitoba, Saskatchewan, Alberta, northwestern Ontario and rural British Columbia. 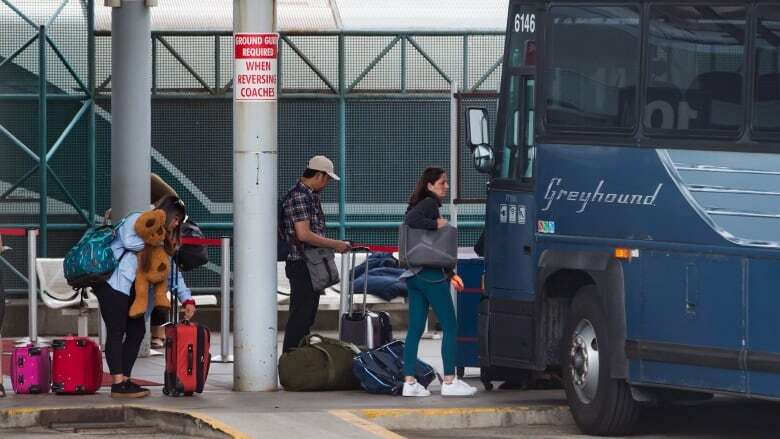 Greyhound Canada announced Monday that it's cutting its passenger and delivery services in those regions, prompting outrage among rural and First Nations communities that rely heavily on the service. Singh says a federal funding plan must ensure there's no interruption or reduction in bus service so no community is left "stranded." He's asking Trudeau to enlist the help of provinces and affected municipalities to develop the plan. Singh says the cancellations, the most recent in a string of service reductions, would create a massive gap in transit services and cut off Canadians from jobs, health care, education, family and public services. Transport Canada says Greyhound Canada operates on a commercial basis with no support from the federal government, and that there are no existing federal programs that would subsidize a private intercity bus carrier.